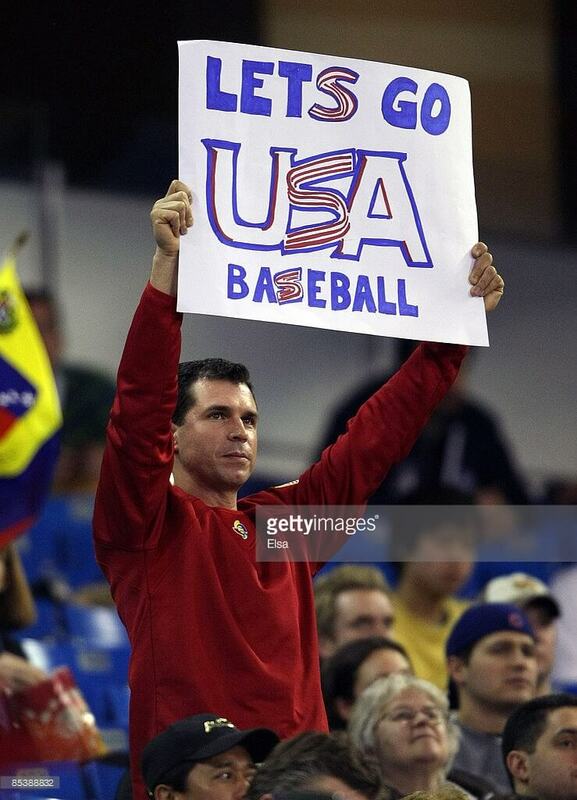 Most provincial Americans don’t know that the first round of the World Baseball Classic has begun. Similar to soccer’s World Cup, the WBC matches the best 16 national teams to determine the real World Series winner. The tournament allows us to indulge in our global preferences. As a left-of-centerite, it’s hard not to root for Cuba, its ranks decimated by defections and trying to win one for the Fidel. Or Venezuela who under Chavez prided itself on thumbing its nose at the imperial brother up North. Or the Far East teams like Japan that play baseball as if it’s a kinesthetic version of Go. Or simply for Canada which is not demolishing its system of national health care. Or, dare I say it, root for the underdogs, Team USA — our boys who have hardly made America great again in their last three tournament early exits. Although I have never been there, I am for Team Israel, making a run worthy of the 1980 USA Olympic hockey team. Ranked 41st in the world, Team Israel has improbably won its first two games and is shooting for a third tonight. With the recent upsurge in anti-Semitic offenses — like the desecration of the cemetery on Stone Road and the bomb threat at the JCC — I’ll be rooting for what the New York Times has called The Designated Menches. 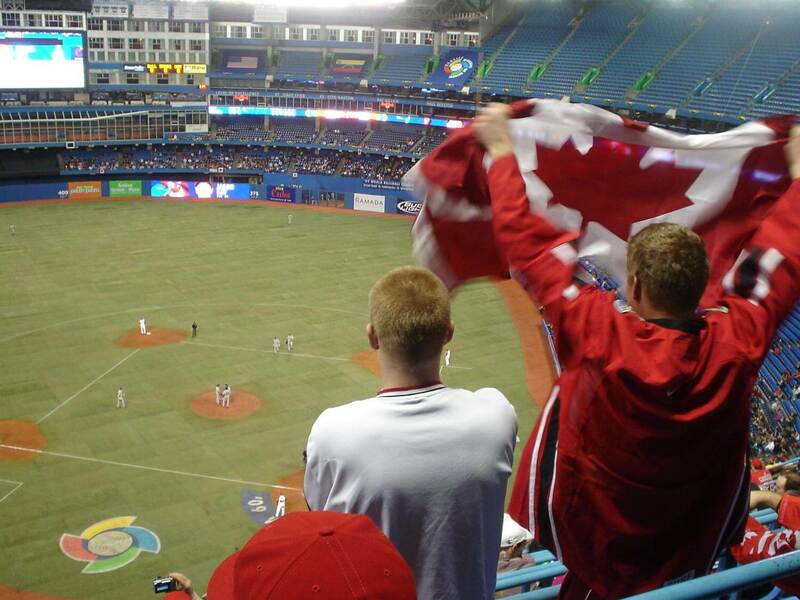 I first fell in love with the World Baseball Classic when my friend Dean and I watched Team USA beat Team Canada at the Rogers Centre in 2009. That trip became “An early spring renewal of the spirit” , first appearing in the 3/19/09 Brighton-Pittsford Post and later in other Messenger Post Newspapers. Eight years later, Dean recalls experiencing vertigo while in our very upper deck seats. He also laments paying 13 Canadian dollars for a single Labatt’s beer. On Saturday, March 7, spring came early for about 42,000 North Americans. True, the closed, retractable roof of the Rogers Centre in Toronto shielded us from the grayish wintry drizzle outside. Nor was the green grass even grass – instead the immortal synthetic kind that can never really smell like summer. Yet there we were, my friend Dean and I, in the first week of March, at a real baseball game, not a desultory, half-empty Cactus League exhibition, but a packed house ready to witness Goliath (Team USA) battle David (Team Canada) in the first game of the World Baseball Class, Pool C.
This was our first taste of international baseball competition; we didn’t quite know what to expect or exactly how to behave. In preparation, I had brought with me a medium-sized red-white-and-true blue American flag, thinking it to be my patriotic duty. Dean and I probably represented the entire Brighton contingent. We did see several ’Cuse and Buffalo Bills jerseys, a few University of New Hampshire T-shirts, and more than a fair share of Red Sox caps. This was our first taste of international baseball competition; we didn’t quite know what to expect or exactly how to behave. Still, in preparation, I had brought with me a medium-sized red-white-and-true blue American flag, thinking it to be my patriotic duty. The stadium was dotted with flags, mostly Canadian but still a sizable number of Stars and Stripes. The larger ones were draped on overhangs, prime targets for ESPN cameras. Medium-sized ones like my American one made a decent show. However, the pointed end of the pole, when grabbed in the rush to celebrate, proved to be downright dangerous. The prudent neatly waved smallish versions easily placed in a shirt pocket during the lulls that are baseball. If this had been European football, I imagine the flags would be territorial markers, symbols capable of triggering the mad dogs of hooliganism. But this is baseball, the triumph of mature love over infatuated adolescent willfulness. 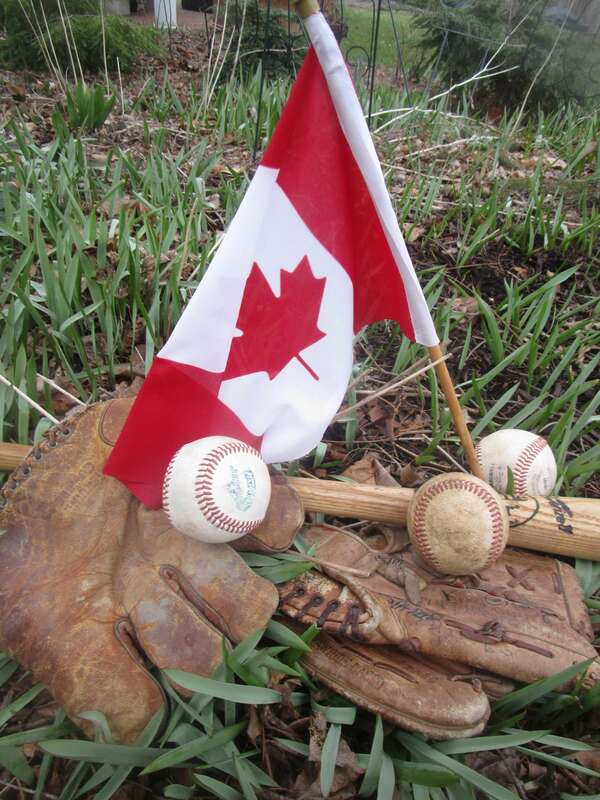 Yes, the Canadians flags unfurled in a red and white cascade when Russell Martin and Joey Votto hit their home runs, and Philippe Aumont, the French Canadian kid, left three Yanks stranded. The Rogers Centre, Toronto, 3.7.09 In the vertigo seats. And, we statesiders bounced back when Captain Jeter deftly fielded his position and Kevin Youkils, Adam Dunn and Brian McCann went yard. In the end, Goliath won, 6-5. Yet, not for a moment, was there a hint of enmity between the competing flag wavers. I chatted amiably with my red-and-white bedecked neighbors about the early days of SkyDome, when lovers neglected to close the shades in the hotel rooms overlooking center field. The joyousness of the occasion had much to do with that inkling, however artificial, of the coming fields of spring dreams. On another level, it had much to do with Canadians themselves. As I looked upon the spirited Rogers Centre crowd, I sensed a true melting pot, a conglomeration of almost every conceivable ethnic group, whose collective national pride seemed derived from tolerance and decency. As I was leaving, I noticed some fans who had bought the same medium-size flags as mine, theirs Canadian. I offered to trade pennants. We readily agreed, shook hands, and I hope, went home feeling that much better. Exchanged flag from the World Baseball Classic game in Toronto. The right glove is my prize possession signed by Cal Ripken Jr and Frank Robinson. The left is my father’s old DiMaggio glove. In this case, not Joe’s or Dom’s, but printed with the name of the third major league brother, Vince.